You can find some really good hotel deals in Kuala Lumper, especially around KL Sentral. KL Sentral is located in one of the points of interest of Kuala Lumpur, Little India, it’s also the start of the monorail to downtown. 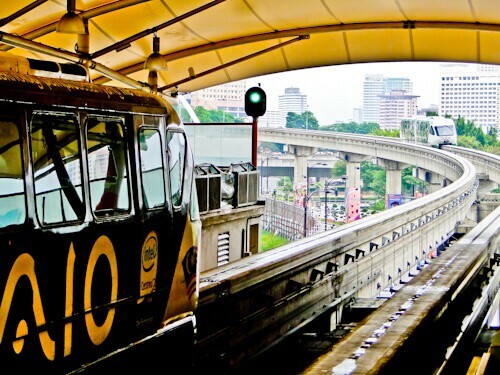 It’s easy to get around Kuala Lumpur using public transport such as the monorail or subway (MRT). You can get to many of the points of interest using the public transport but to make things really easy and take a lot of thinking out of your day, you should consider the Hop on Hop off bus service. This will also take you to the more difficult to reach places such as the KL Tower and the Bird Park. In some locations such as Istana Negara Jalan Duta, you can hop off the bus, get a picture of the building and with a guard before hopping straight back on. Kuala Lumpur is a city where the Hop on Hop off bus works well. One stop on the monorail, Bukit Bintang is worth visiting. You’ll find bars, restaurants, shopping malls, market stalls and the famous Jalan Alor Food Street which foodies will love for its street food. 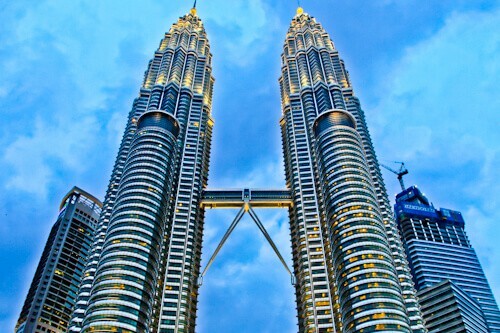 The Petronas Twin Towers are the symbol of Kuala Lumpur, they are 88 stories and 1451 meters high. It’s possible to visit the sky bridge connecting the towers but you must get there early to reserve your tickets. Underneath the towers is the KLCC shopping mall, even if you don’t want to visit a shopping mall it will probably be hot and the shopping mall is the perfect escape. The Batu Caves are an interesting excursion from Kuala Lumpur, you’ll need to take a bus out there. To get to the caves you must first climb several stairs (272 in total), it will probably be hot so take water (or buy overpriced water from onsite vendors). Whilst climbing the stairs you’ll pass lots of mischievous monkeys, so keep you personal items and snacks safe. If you decide to feed or take a selfie with a monkey, take care, they will probably try to steal your hat or sunglasses. At the top of the hill you’ll find 3 caves with temples, Hindu shrines and a view of the city. As well as tourists visiting the Batu Caves you’ll see lots of people visiting for religious purposes, I guarantee you’ll see Hindu babies in make up (which is normal in this culture). Solo female traveler, Kathy James wrote an in depth article on the Batu Caves which I highly recommend. Merdeka Square is a popular site in Kuala Lumpur, it’s a huge square with a flagpole in the middle, at 95 meters tall, this flagpole is the tallest in the world. On the night of 31st August the Union Jack was lowered from the flagpole and replaced with the Malaysian flag, 31st August is Malaysian independence day. Merdeka Square was the colonial center during the days of the British Empire. Nowadays the political center of the country is located in the planned city of Putrajaya a short drive south of Kuala Lumpur. In Putrajaya you’ll find the prime ministers office as well as many stunning Instagram worthy buildings. As I did not get up early enough to get a ticket for the sky bridge in the Petronas Towers I took another option to view the city from above, from Kuala Lumpur Tower. KL Tower is a telecommunications tower, the tallest in South East Asia. It’s located on a hill in Bukit Nanas forest reserve so appears to be taller than the Petronas Towers (above). KL Tower is the only tower in the world which is located in a forest. The Hop on Hop off bus route stops at KL Tower or you can take a taxi, it’s not far from the center. 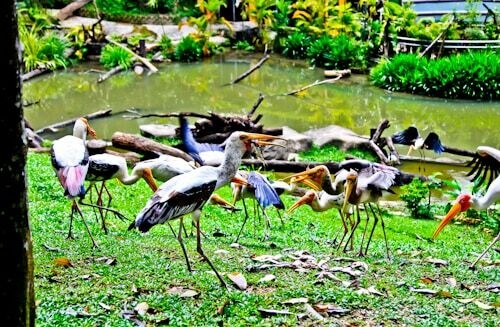 KL Bird park is the largest free flight walk in aviary in the world. This means you can take those bird images that normally only bird watchers get with a natural background. Often in bird parks the birds are in individual cages and when you photograph them it’s clear the bird is not wild but as KL Bird Park is in a large aviary you can get bird images that appear to be taken in the wild. There are over 200 different species of birds in the park, 90% of them are local. There are Milky Storks walking freely around the park (above), try not to act scared when you are surrounded by several of these birds. The KL bird park is a stop on the Hop on Hop off bus tour. 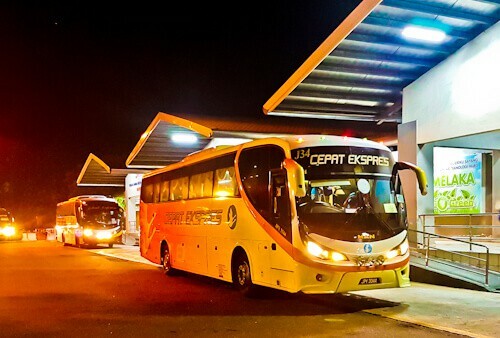 From KL Sentral the direct bus to Melaka Sentral takes about 3 hours. Buses between the 2 cities are cheap, frequent and comfortable so there is no reason not to visit the UNESCO city of Melaka if you’re in Kuala Lumpur, it would even be possible as a day trip. It’s great to read about the points of interest of Kuala Lumpur as well as to see some images of them, such as the Petronas Twin Towers! 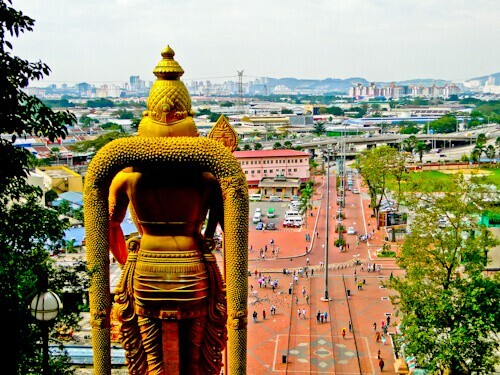 I hear lots of nice things about Kuala Lumpur, the Batu Caves excursions looks very rewarding and a good workout with the climb up the 272 stairs. I would love to walk around the bird aviary and see so many local birds. I love big cities and have always wanted to visit Kuala Lumpur. It seems like so many cities now have great public transport, making them more accessible than ever. The Bird Park sounds awesome! I’d love to see all those birds up close. 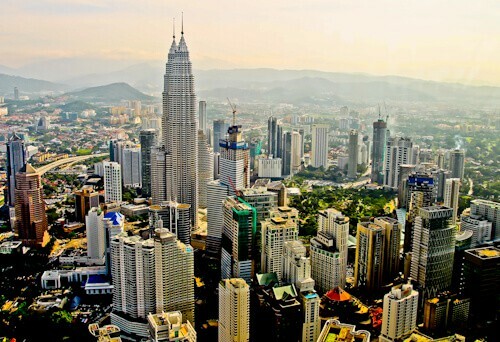 We would soo love to visit Kuala Lumpur one day!! it looks amazing, and the food street sounds like something we need in our lives. We will certainly be taking some of your advice for Kuala Lumpur, we will be there early 2018. We are going to attempt the Batu Caves with a 2 year old, eeek! I’m sure the kids will be fascinated in the biggest bird aviary in the world at KL bird park too. This part of the world and Kuala Lumpur has not been on my radar but it is now!! I’m adding it now!! We always travel with the kids and they would love the aviary at KL Bird Park. How interesting to see so many birds in one spot! Thats a wonderful post on Kuala Lumpur with some really helpful insights. I love how you have first mentioned about the popular points such as the Petronas Towers and tallest flagpole in the world, then elaborated on them, with captivating content. This post is definitely going to come handy when I plan a trip to Malaysia. I like the Twin Towers. They look more beautiful at night. I would prefer to go inside the KLCC shopping mall when it gets too hot outside. When I visited Hong Kong, I went to shopping malls too because it was really hot during the afternoon. The Kuala Lumpur Tower sounds interesting and maybe better than the Twin Towers. I would like to visit this tower too. I have always wanted to visit KL since the days when the Petronas Twin Towers were the tallest buildings in the world. I’d still like to give them a visit though and see the the Batu Caves too. I wasn’t sure what else there was to do in KL so thanks for this. If i ever head there i’ll make sure to visit the bird park – I love the fact that it is a huge aviary with all the birds free to fly around! I love a place where you can take public transportation around to sight see! Kuala Lumpur looks beautiful. I have a friend living there now so I’m hoping to get over there to Malaysia one day soon. The KL Bird Park looks like a fun day out! I’d never consider traveling to Melaka but you’ve made me rethink. 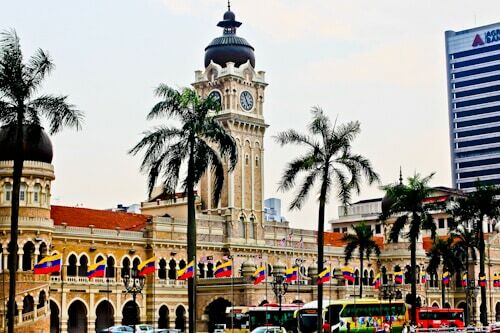 If the buses are so easy and cheap it seems a shame to not go and visit this beautiful city for a day trip or a couple of days from Kuala Lumpur. In Kuala Lumpur I’d love to see the Petronas Twin Towers as well as Merdeka Square, it sounds fun commuting around the city on a monorail. Been to KL before few times and again going next month. I totally agree it’s very easy to get around in Kuala Lumpur using public transport . Their monorail is fantastic. And who can miss seeing the Petronas Twin Towers. Specially at night they look stunning. Visiting next month so great timing for this post! 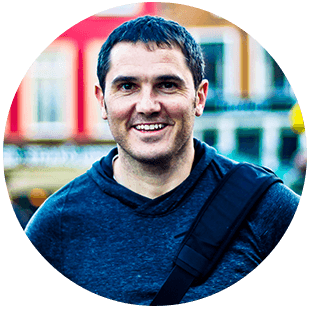 Great tip about the hop on hop off bus so will check out your link! Really looking forward to visiting!! Enjoy, remember it’s hot so drink plenty of water. Malaysia is a country that really interests me, and obviously I’d love to visit the famous capital! Kuala Lumpur looks like an interesting, modern city – and I’d love to see the famous Petronas Twin Towers in person (not just hundreds of people’s selfies in front of it on instagram). Thanks for sharing all this useful information! I would love to visit Kuala Lumpur one day, it looks like such a colorful city! Even though you weren’t able to get tickets for the sky bridge, I personally think the view from Kuala Lumpur Tower looks better since it includes the Petronas Towers. Plus it’s located in a forest, how cool! Hope to visit KL one day, must admit I don’t know much about it apart from the Petronas Twin Towers, which I’ve seen in countless photos. Good to read about the other attractions on offer and that the hop on bus is a good way to see them – nice tip. I like the high ariel shot from the tower too. Thanks for sharing! Malaysia is always on my wish list. Batu caves looks interesting and i will love those mischevious monkeys too. View from Kuala Lumpur tower is stunning. Gr8 photos. I loved KL. I am not normally a fan of large cities but KL really has so much to do as well as lovely large parks. This post brought back so many memories of my recent trip there. I loved the twin towers lit up at night but also found that the tickets had sold out by the time I got there. I also agree that getting round is so easy too! Kuala Lumpur looks like such a vibrant city. 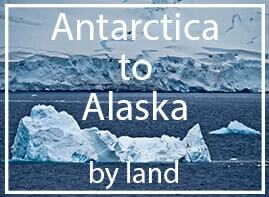 I prefer destinations that are more rural in nature, but I’m always up for a bigger city! Missed out on the KL Bird Park the last time we visited. Batu caves are an interesting place to visit. The bats are kinda spooky though. Very timely as I will be heading to both KL and Malacca in August and can’t wait. Been to KL before, but looking forward to exploring more of Malaysia. Pinned for future ref. I really liked Kuala Lumpur when I visited a few years ago. I don’t remember taking the monorail or visiting Bukit Bintang (is that named after the good beer?!) I do remember visiting, and going to the top of Petronas Towers, which is far more impressive in person. I didn’t get to see Melaka either, it sounds like I really need to go back! That’s a very interesting picture of Batu Caves. Its usually Lord Muruga from the front. This is the first time I’m seeing His back and the entire landscape in front of Him! Thanks for the tip about being careful with the monkeys. The KL Bird Park looks nice. I dunno, but I’ve always felt KL is a bit too cosmopolitan for my taste!